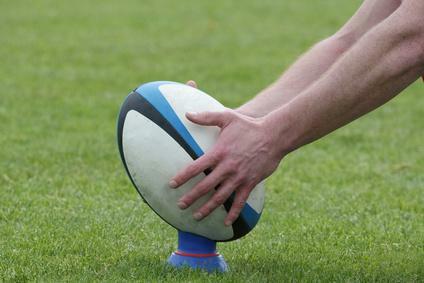 The Premier Annual Rugby Union event for Northern hemisphere teams, the six nations captures the imagination of the sporting public in the early part of each year. Contested between England, Scotland, Ireland, Wales, France and Italy every year, fierce rivalries ensue and each of the fifteen games are hard fought battles. First up you’ll see the format of the six nations and how it is won. Moving on, there is an explanation for all of the betting markets available on each tournament. The article ends with some advice on gambling strategy. The six teams in the tournament will play each other just once over five different weekends – some of these weekends will be consecutive, others after a fortnight break. As each team plays five games, some teams will play three home games, and others just two – this is evened out from year to year. The points scoring system in the six nations is slightly different from most other Rugby Union tournaments in that there are simply two points for a win, and one for a draw (no bonus points at all). At the end of the tournament, the team with the most points wins. If this is level, point difference is the first tiebreaker, then tries scored - if still level, the six nations is shared. Outright – Many months before the tournament begins betting will be available on the outright winner. 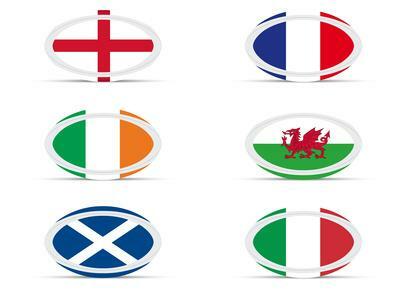 In the history of the event, so far only France, Wales, England and Ireland have won, and in most years these four teams have headed the betting. Outright betting will be available throughout the tournament until the final weekend. Grand Slam – To win the Grand Slam a team has to win all of its five games. The odds for this will be longer than on the outright betting, although just over half of the time the outright winner has indeed won the Grand Slam. Triple Crown – This is only open to England, Scotland, Ireland and Wales and is awarded to any team that wins all three games against the others listed. This is a throwback to when there were just these teams in the tournament (France joined in 1910, Italy not until 2000). The odds will obviously be lower here than for the grand slam as only three wins are required as opposed to five. Match Odds – This is simply predicting whether the match will be won by either side or if it will finish in a draw. Half Time/Full Time – Predict the position at half time as well as the full time result. Here France have to win by 21 points or more to win the bet, any other score line and Italy win on the handicap. Winning Margin – Here, odds will be offered about teams to win by certain amounts, for example, either team to win by more or less than 12.5 points – will pay slightly more than the win market, but a little more difficult. First Scoring Play – Here, you have to predict the first scoring play and by which team, examples could be an England Try or a Welsh Penalty. First Team to Score a Try – You’ll have three options here – both teams and no try. One of the advantages of betting on the six nations is that teams are normally named two or three days in advance, and this will give you a chance to properly study the game, and gain a real feel for how it might turn out, and what some of the key match-ups will be. Is an important player missing, or is there a surprise starter – how do the two packs compare? These are all questions you’ll be able to answer well in advance of the game – so use this to your advantage and make it pay. Seeing as these teams play each other at least once a year, there is some historical significance – some teams just don’t play well in certain venues, some teams build up a run of consecutive wins against others, other teams have a bogey side – keep an eye out for these, past meetings are significant, and can give you a clue to future meetings. When betting on the outright markets, make sure you consider that some teams play more home games than others – home advantage is huge, so be more wary of backing teams who have just two home games. Obviously, the same applies to the Grand Slam and the Triple Crown markets.